Brickhouse Steak & Seafood is located in the former Bend firehouse, a historical building situated in downtown Bend, across the street from the Oxford Hotel and Suites. 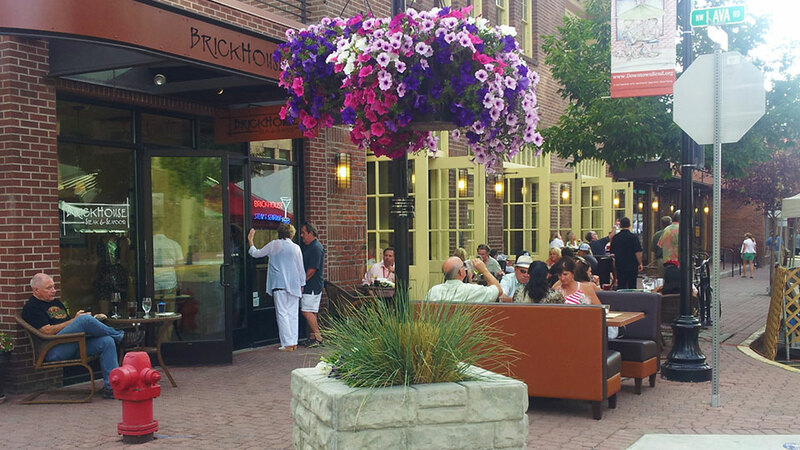 Brickhouse serves USDA prime steaks, the highest grade of beef available, produced right here in the Northwest. Only 2% of beef is graded prime, and only a small fraction of that is naturally raised and hormone-free. At Brickhouse, all steaks are wet-aged an additional 35 to 65 days and each steak is hand-cut to exacting standards. Brickhouse places a high priority on sustainability, so all proteins including chicken, pork, and lamb are naturally farmed, free of hormones and antibiotics, and wild caught fresh seafood is sourced from sustainable fisheries both locally and worldwide. Additionally, the majority of the produce featured on the menu is raised on organic farms and is locally when available. Brickhouse believes that great wines come in all price ranges and stocks its cellar with labels from around the world, including value wines, hard to find collectibles, and everything in between. Brickhouse is open daily for happy hour and dinner, and also features a “First Hour” three-course menu Monday – Friday from 4:30 p.m. – 5:30 p.m.